Please welcome our latest guest to the Picture Book Den - Susannah Lloyd. Ursula Le Guin once wrote: ‘The unread story is not a story; it is little black marks on woodpulp. 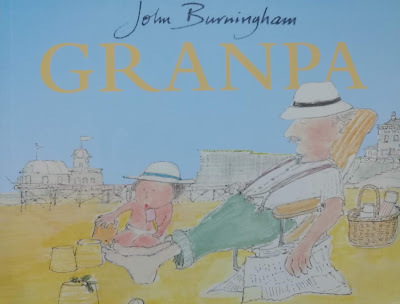 The reader, reading it, makes it live: a live thing, a story.’ This could not be truer than for a picture book, a book for the very young; for readers absolutely brimming with the imagination required to bring a story to life. But it needs careful consideration to make the most of your colluder’s valuable time and attention. Mac Barnett, discussing his stories on the Picture Book Podcast, said of his work “I write a thing that has lots of gaps for [the illustrator] to fill in and then ideally, when the illustrator is done, there are still gaps for the person who is reading the book out loud to fill in and put their own spin on it, and then finally there still should be some spaces for the reader to crawl into and figure those things out.” To listen to the podcast in full click here. This is a topic dear to my heart. I am a new picture book writer and it’s what I’m always striving to achieve my own writing. Needless to say, I have found that it is trickier than it first appears! One recent book that really carries this off is Julian is a Mermaid by Jessica Love. I absolutely love this book. It is quiet, beautiful, thought-provoking and very moving. It had me sniffing back the tears before I even got it out of the book shop. 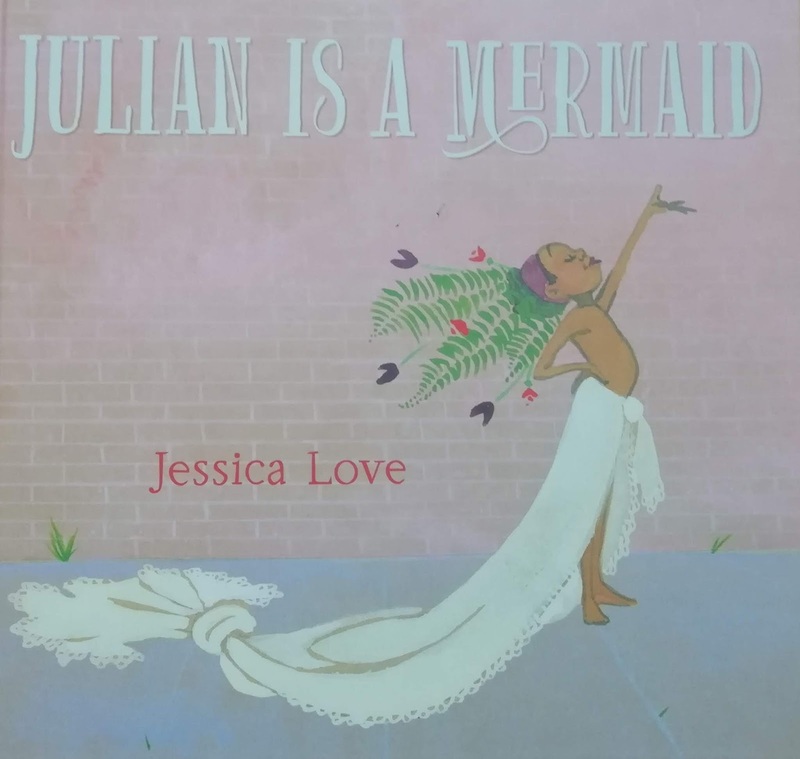 Julian, a little boy, watches some glamourous women in mermaid costumes on his bus ride home from the swimming pool, and becomes totally lost in a day dream, imagining himself as a glorious mermaid. JULIAN IS A MERMAID. Copyright © 2018 by Jessica Love. Reproduced by permission of the publisher, Candlewick Press, Somerville, MA. On the way into their house he declares to his grandmum “Nana, I am also a mermaid.” When she goes off for a bath he looks about the house and bedecks himself in everything he can find to transform himself into a mermaid. What will she make of his flamboyant homemade costume when she returns from her bath? The text of Julian is very minimal, and the words tell us nothing at all about what the characters of Julian or Nana are thinking or feeling. That is 100% the job of the reader to work out. When his Nana returns from her bath and finds him dressed up in her curtains, plant and makeup, she says nothing but disappears off, leaving us alone with Julian for a very suspense-filled spread. Julian suddenly looks a little vulnerable, a little uncertain, as he peers at himself in the mirror. The fact that the readers are invited to fill these spaces themselves, and make their own connections, creates a gentle opportunity for them to experience getting things wrong, and then for them to re-evaluate assumptions that they may have made. When we turned the page my youngest son, quite certain that Julian would be in trouble, jumped back on the sofa, and looked cautiously through his fingers, finally taking his hands away and giving the page a long thoughtful stare. 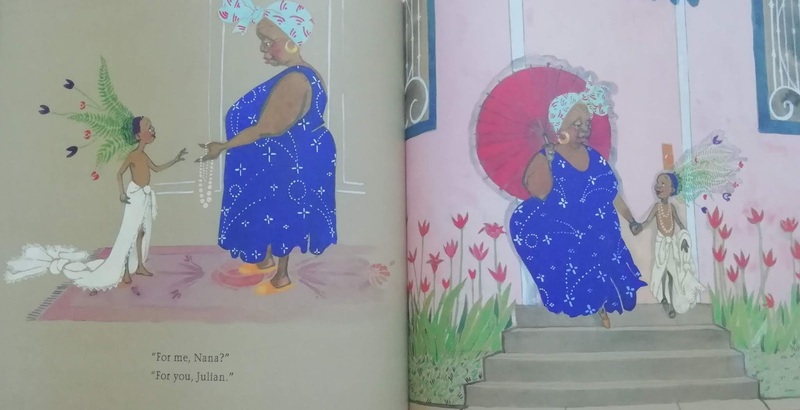 When Nana returns with a necklace to complete his costume, there are no words to tell us about how Julian feels about this, but there don’t need to be – the reader has felt it for themselves. I recently listened to an interview with Jessica on the Picture Book Podcast. She said that, in creating a book like Julian, she is “Throwing a ball up into the air, into the unknown, and the reader…has the opportunity to catch it….and the magic of catching it can’t happen unless it’s actually been thrown. If someone just stuffs it into your hand, you haven’t caught anything, you’ve been handed something, and that’s not the same thing.” To listen to this interview in full click here. This idea really struck me. I thought yes! This is exactly what I want to do in my own writing! So, to learn more about the subtle art of the throwing, I decided to contact Jessica and ask her about this. Film Director Ernst Lubitsch apparently said: “Let the audience add up two plus two. They’ll love you forever”. I am completely hooked on trying to achieve this in my picture book stories. 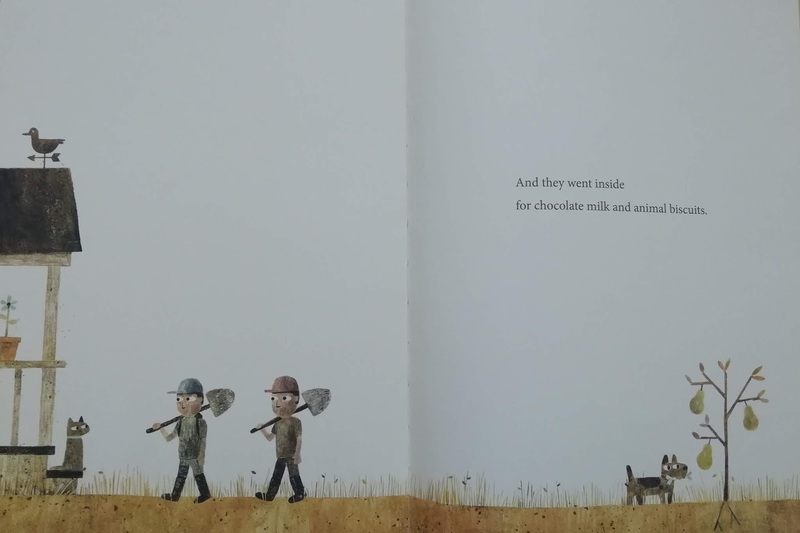 What are your thoughts on why this approach makes for such a satisfying an experience for the picture book reader, in particular? This quote is a bullseye. I've worked for the last 13 years as an actor in the theatre--I trained at Juilliard and have been performing in plays ever since. One of the great assets of live performance is the immediate, legible feedback you get from an audience. You know when you have the audience, and you can feel it when you've lost them. Here's what audiences hate: being preached at. Here's what audiences love: making connections on their own. I feel confident saying this is as close to a universal rule as there is in the theatre: show don't tell. But the why of it is what you are asking about, and I've actually spent a lot of time thinking about this and here's what it boils down to: art isn't the object itself. Art isn't the finished book, or painting, or script. That is just the set-up. I think of it this way, art is the thing that happens when an idea travels from the mind of the artist to the mind of the viewer. It's like an electrical impulse leaping from one dendrite to the next. It is the leaping part that is magical. That is the miraculous current that gives the artist and the reader a little zap when they touch it. I think the reason this kind of story is so much more satisfying for the reader, is it allows them to participate, and do their job. I believe artists need to have enough respect for their readers to know when their job is finished, and allow the reader to do theirs. 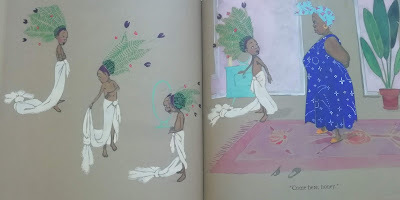 How do you ensure you don’t crowd out the reader’s space or role in your stories, and do you feel it helps that you are both the author and illustrator of the book? That is the question isn't it? How do you actually do it? I think the trick is to think of the reader as your collaborator. It is your job to set them up with the information they need, but connecting the dots is actually their job, not yours. When I first sold Julián is a Mermaid we toyed with the idea of making it entirely wordless. 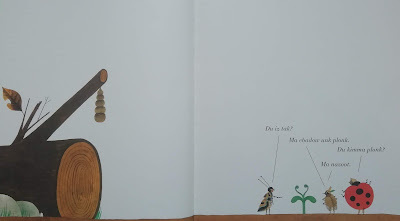 But here's the problem with that: if the reader doesn't have the information from the very beginning that Julián is a boy the reader doesn't have the right coordinates from which to start--they just assume he is a girl and never go on the journey. I think it is always a matter of asking, what is the least amount of information I can give the reader in order for them to make a connection? The bigger the leap, the more satisfying it is for them; the more thrilling the game of catch between you. What books have you loved which leave lots of room for the reader? "Du Iz Tak? ", written and illustrated by Carson Ellis. It is a masterpiece and it is in a made-up, bug language! And do kids get bored? No! They lean forward because finally someone has given them something to figure out! DU IZ TAK? Copyright © 2016 by Carson Ellis. 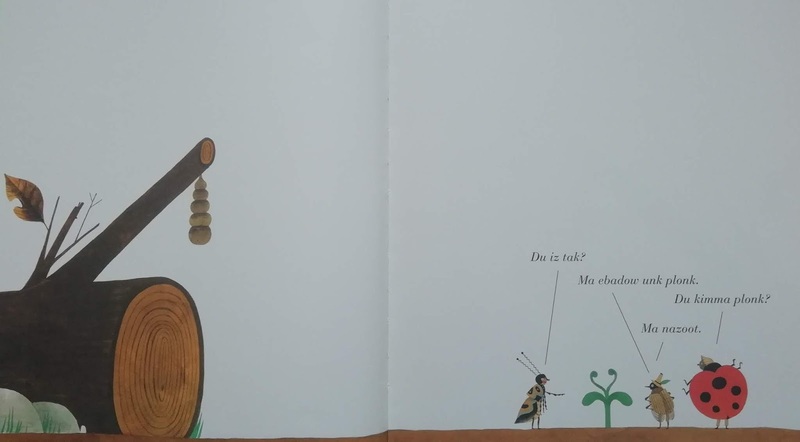 "Square", by Mac Barnett illustrated by John Klassen--how many children's books do you know that end with a question? SQUARE. Text copyright © 2018 by Mac Barnett. Illustrations copyright © 2018 by Jon Klassen. 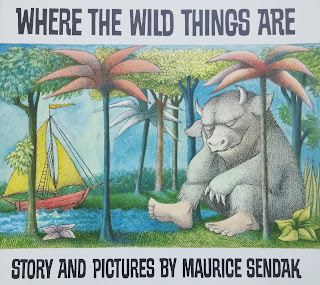 "Where the Wild Things Are"- Maurice Sendak is the consummate example of working on a deep, dream-scape level. He allows room for darkness, wildness, doubt, and fear. I think too often we are so afraid of these experiences in ourselves we try to blot them out in children as well, but childhood can be dark and terrifying. I remember how much I appreciated it when adults allowed for this, rather than yelling "THERE IS NOTHING TO BE AFRAID OF!" which of course kids know is bs. Thank you so much Jessica for your brilliant and thoughtful replies! 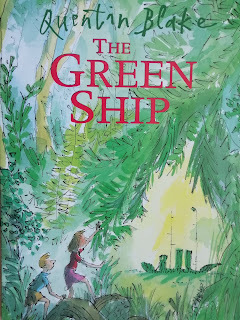 The reader is not given any heavy-handed instruction on the nature of Mrs Tredagar’s grief, but through the green ship’s journey, steering into the eye of a violent storm, and making it safely through, we can experience it. At the end of this story, Sam and Dave fall tumbling through the bottom of the hole they have been digging, and land safely in a place remarkably similar to the one they set off from. But something is not quite right. There is a pear tree where the apple tree was, a different collar on the cat, a different house, and … no hole. These details do not perturb Sam and Dave in any way, but they do seem to bother their dog. What on earth is going on? The back cover shows the original cat, peering down into the hole they dug, possibly trying to figure out the answer to the same question. SAM AND DAVE DIG A HOLE. Text copyright © 2014 by Mac Barnett. Illustrations copyright © 2014 by Jon Klassen. Reproduced by permission of the publisher, Candlewick Press, Somerville, MA. The heart-breaking ending leaves us with Grandpa’s empty chair and his granddaughter, curled up, simply looking at it. There is no need for any words to spell out what has happened or how the little girl feels. An absolute classic. 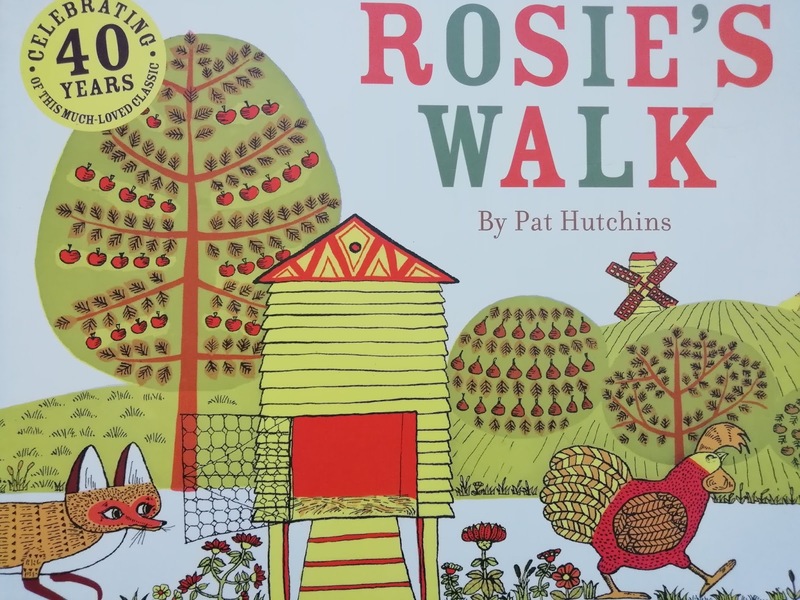 Is Rosie oblivious to the danger she is in or is she making some very shrewd choices as to where to travel on her journey? Perhaps she has even made a reconnaissance trip? My youngest son and I disagree strongly on this matter. Carson Ellis poses lots of questions for her reader in her book Home, such as ‘But whose home is this? And what about this? Who in the world lives here? 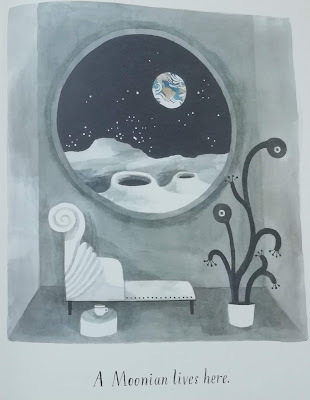 And why?’ On another page she simply says ‘A Moonian lives here’, but whether the Moonian is the owner of the strange looking plant staring glassily back at us, or is the plant itself, is left up to us to decide. HOME. Copyright © 2015 by Carson Ellis. 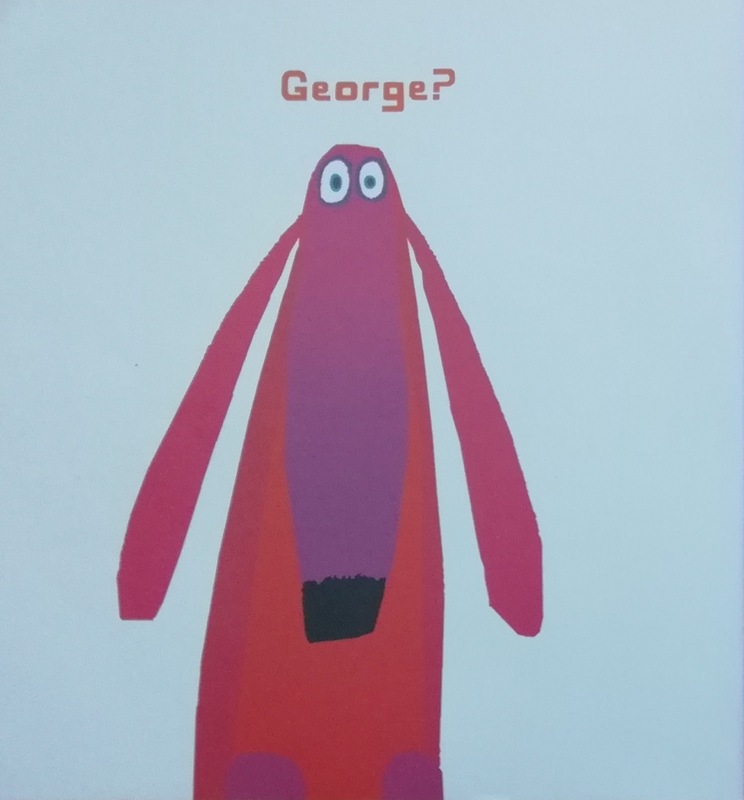 OH NO, GEORGE!. Copyright © 2012 by Chris Haughton. Reproduced by permission of the publisher, Candlewick Press, Somerville, MA on behalf of Walker Books, London. Susannah has picture books coming out soon with Simon and Schuster (2019) and Frances Lincoln (2020). You can follow Susannah on Twitter and Instagram at @squirrelpocket . Thanks for a great post, Susannah. The YOU CHOOSE books by fellow Picture Book Den writer Pippa Goodhart and Nick Sharratt leave oodles of space for the reader to exercise their imagination. A great and timely (for me!) post. Thank you. These are also the books I love. What I find is, though, that for most of these picture books, they've been created by an author-illustrator. It's possible for an author to sell a book where loads is left up to the illustrator, but it's a lot harder than it is to sell it if the creator can illustrate his or her words. I agree with Jonathan about You Choose. It's fab. 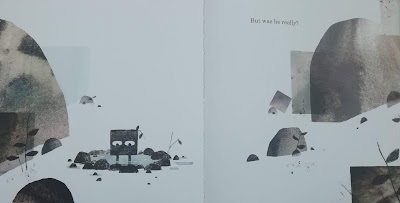 And I also really enjoy The Baby Who Roared by Simon Puttock and Nadia Shereen which is one of the ones where it works really well and it's not an author-illustrator. I've really tried with manuscripts where loads is conveyed through the pictures, as with Julian is a Mermaid, but it's so hard a sell. And I'll keep trying! Good luck with your books and thanks for the podcast links. I'm really looking forward to listening to them. A wonderful post. I really enjoyed it. Thank you! Great post! And yes don't we all like an "I get it moment!" ... adults and children alike. 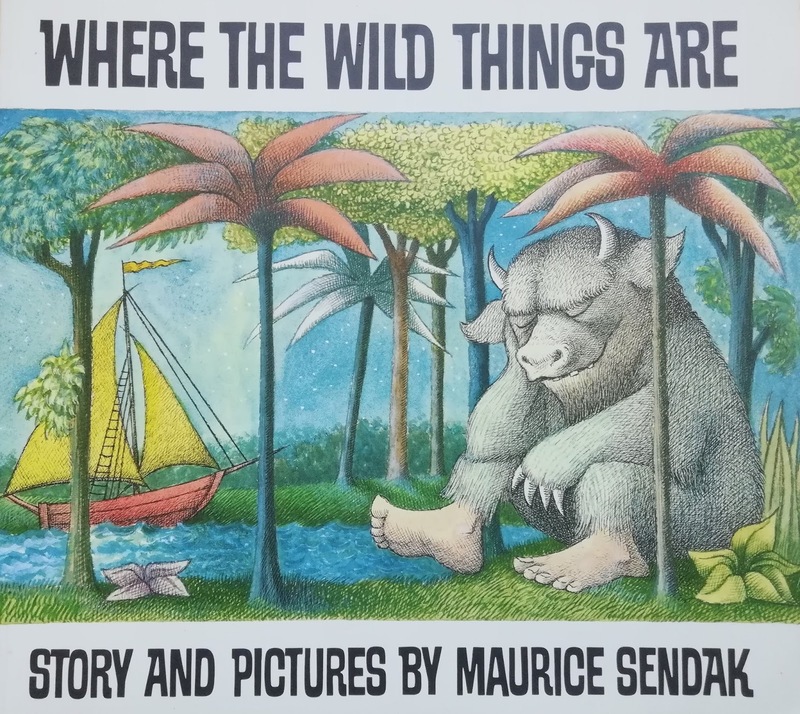 I think children who grow up with books like these in your blog develop very astute insights. They become more observant, more curious, more enquiring, more aware of subtleties... all good things for any human!